We specialise in one off spring cleaning of any industrial site in the Perth metro area. 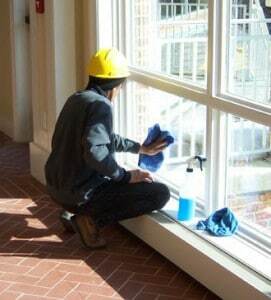 We have teams of professional cleaners available to clean medium to large sites. We know industrial spring cleaning rarely occurs at a site, consequently the site gets dirtier and unhygienic as time goes on. When you are deciding who to order a spring cleaning from, consider the skills and expertise required to get the job right first time. It takes a lot of co-ordination to carry out a full industrial spring clean, so choose us if you want an experienced company which can handle large site clean ups. Regular office cleaning of medium to large office sites is available, we offer professional quality office cleaning services for offices located in Perth, Fremantle, Joondalup, Rockingham and Mandurah. Daily or weekly office cleaning available for customers seeking a clean and hygienic workplace. We also offer end of lease cleaning for when you’re moving offices. Let the leading company in office cleaning business tailor an office cleaning program to meet your firm’s needs. Presenting a clean business environment is paramount to impressing clients and customers. It also is a great way to improve morale and productivity among your employees. Our expert office cleaning staff will provide your company with a worry- free way of maintaining a professional atmosphere day after day. We do the work so you can concentrate on your business. Whether your company requires daily office cleaning services for your building, or a weekly or monthly service, we will customise an office cleaning program specifically geared for your business. From reception areas to restrooms, Perth Home Cleaners has the resources and expertise for cleaning your office building and getting the job done right the first time. At Perth Home Cleaners, we understand the concerns of our customers and we work diligently to provide quality office cleaning services for your company while maintaining the security of your office or facility. Phone or email Perth Home Cleaners to enquire about a quote and how we can help with your commercial cleaning in Perth.